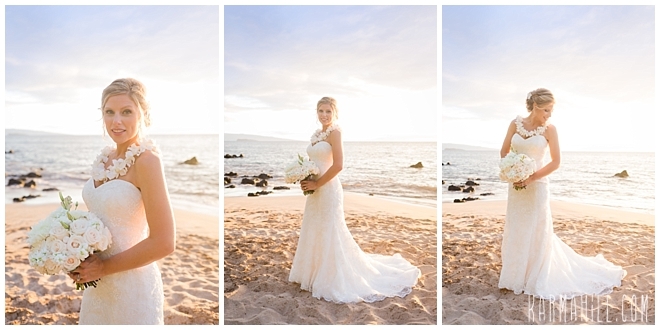 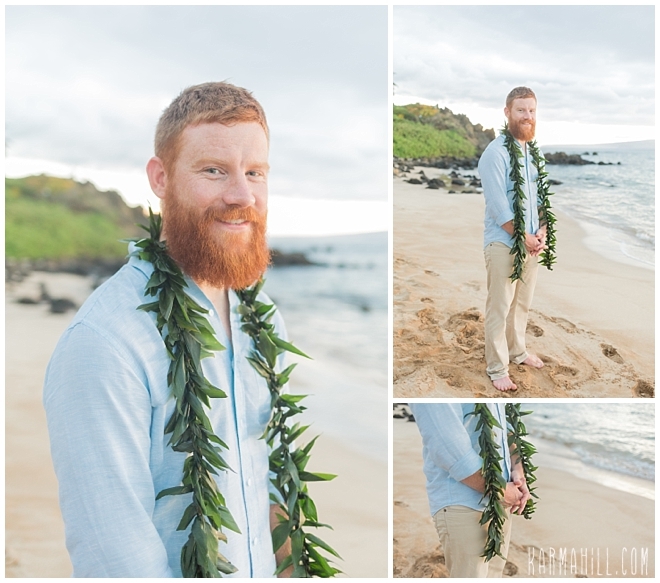 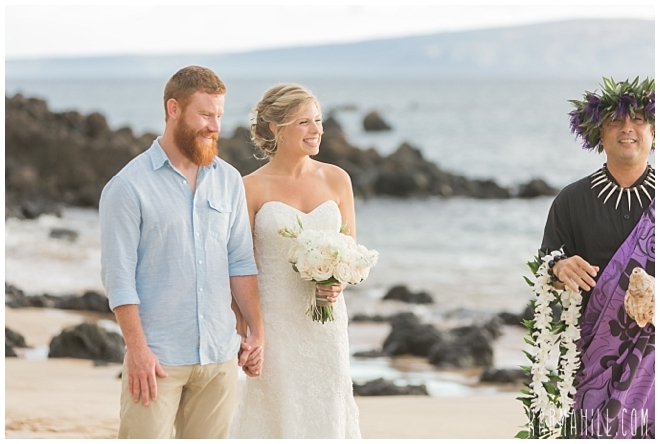 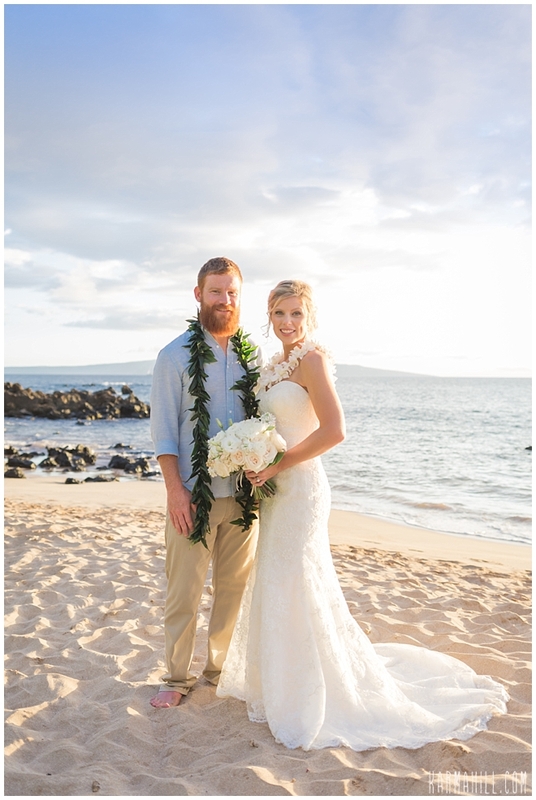 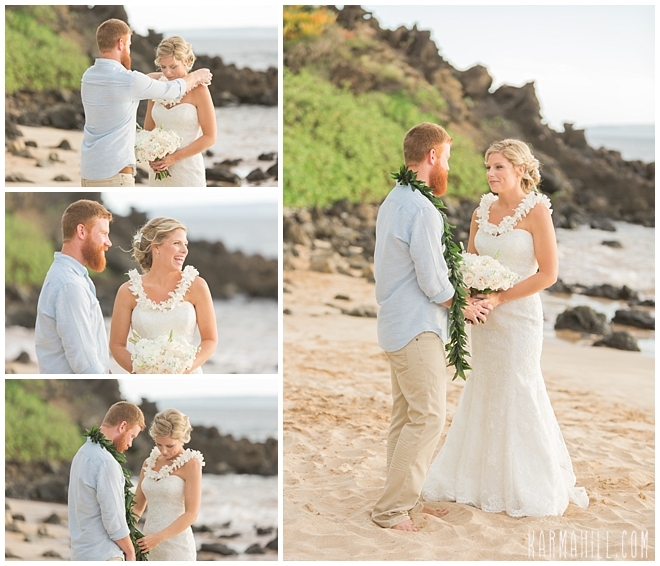 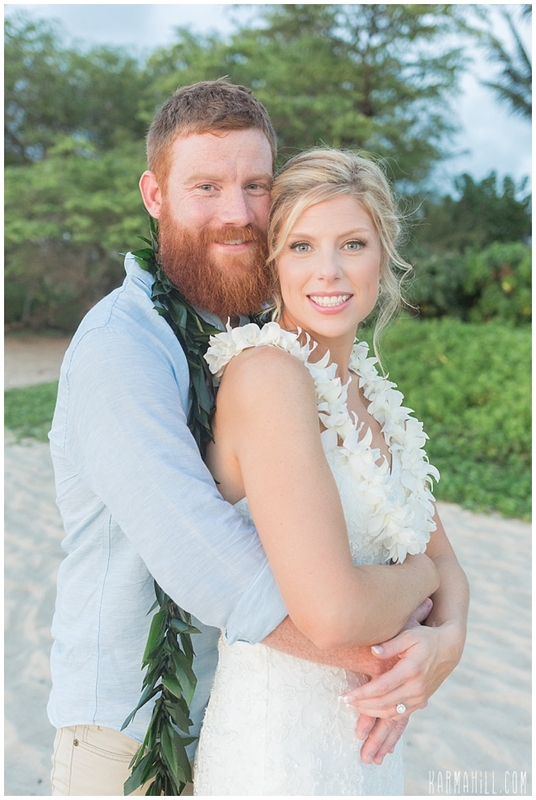 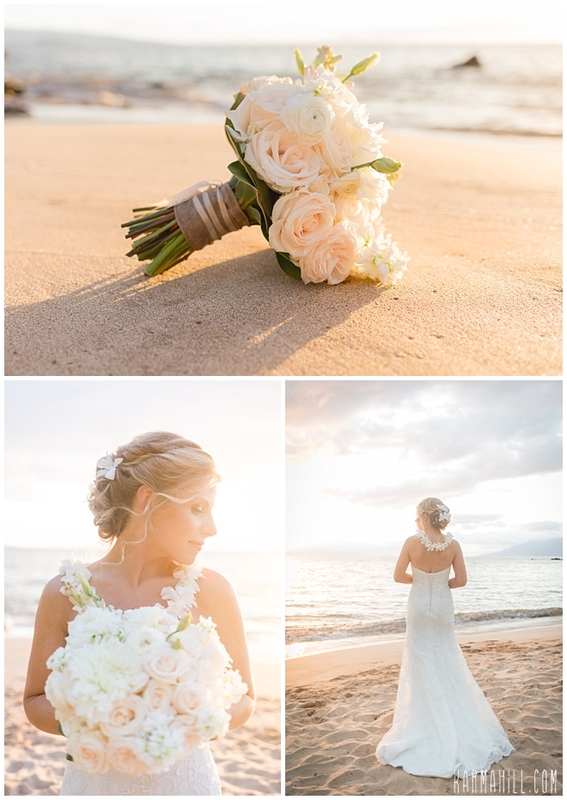 Emily & Cody's Gorgeous Maui Wedding! 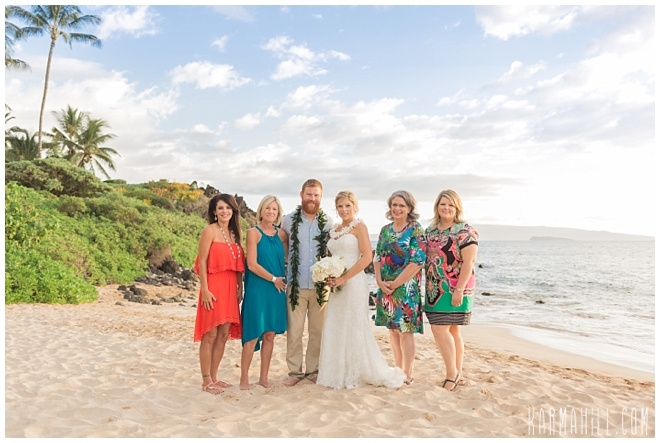 We met this sweet Oklahoma couple on the shores of Southside Beach for their Maui wedding last week. 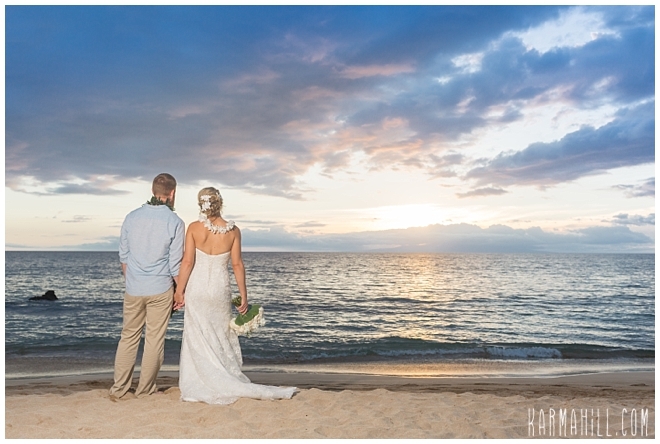 It was a perfect afternoon with a little cloud coverage making for soft pastel colors and a cool setting. 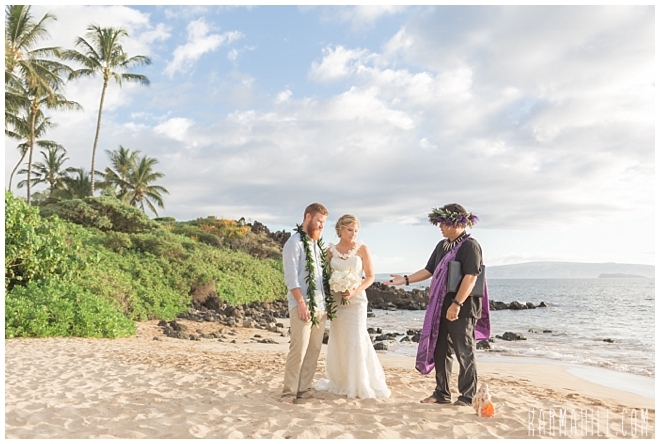 Emily & Cody were married by Reverend Kimo Kirkman and joined by just their closest family. 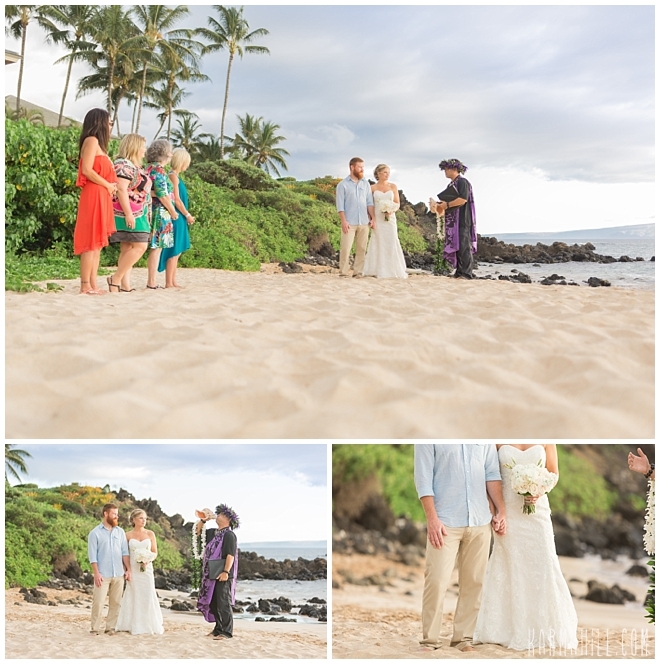 After their ceremony staff photographer Cheynice took some family shots and the stole Emily and Cody from the group for their absolutely gorgeous romantic couples portraits. 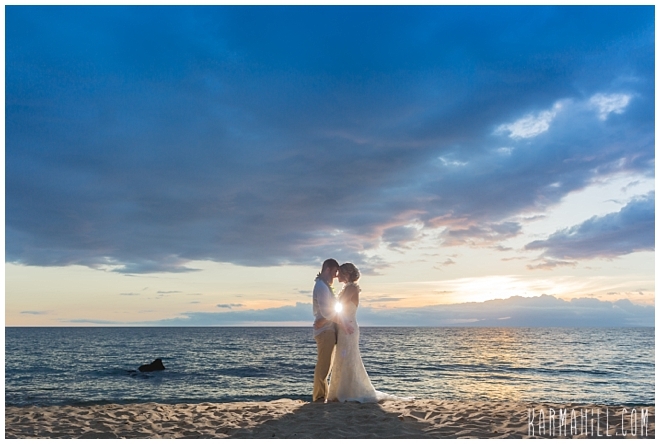 It's nights like these that you wish you could pause time because the light is so beautiful and the mood is so perfect. 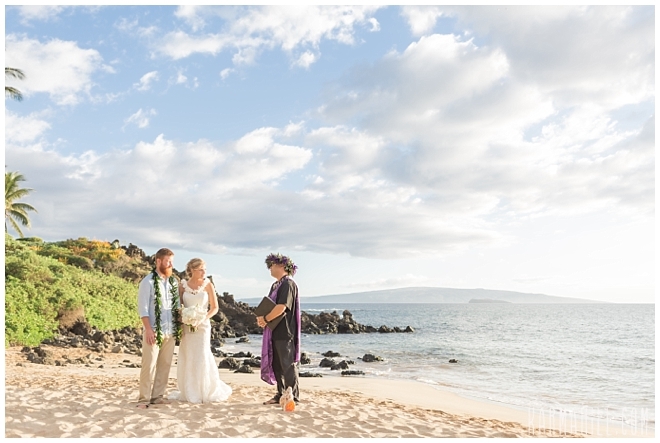 At least we have the pictures to remember it by. 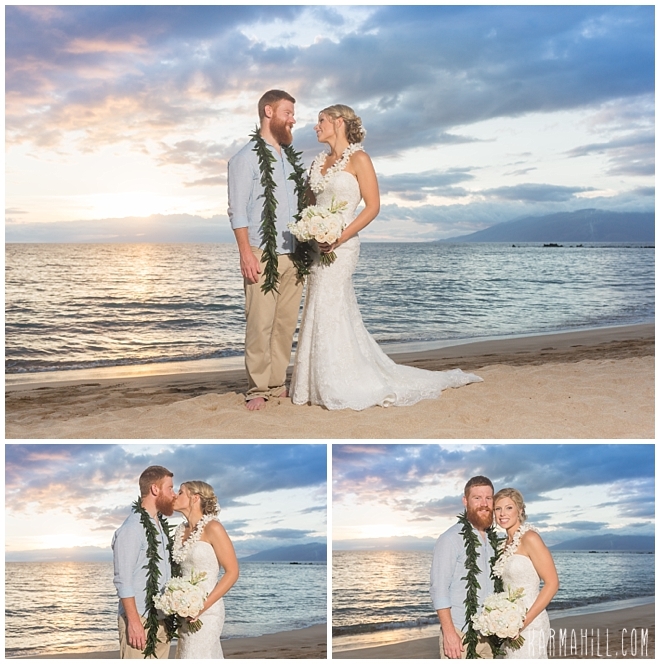 We hope you enjoy them as much as we do Emily & Cody! 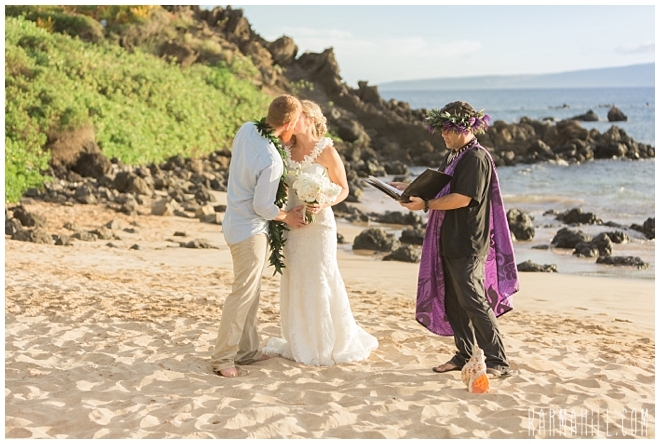 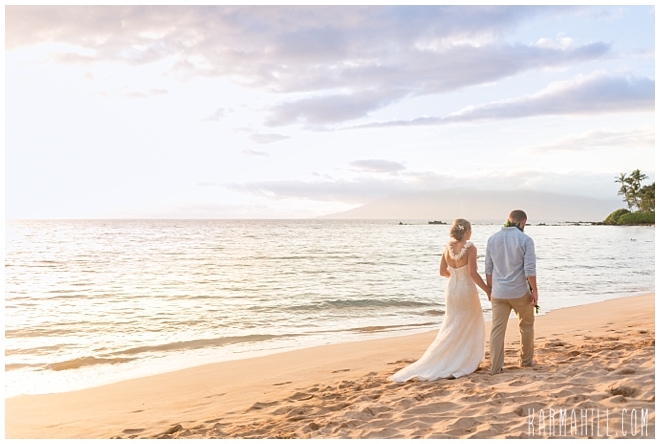 Mahalo for choosing us for you Maui beach wedding! 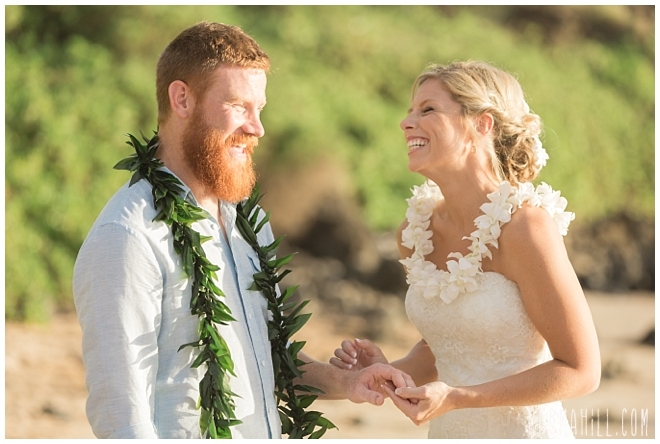 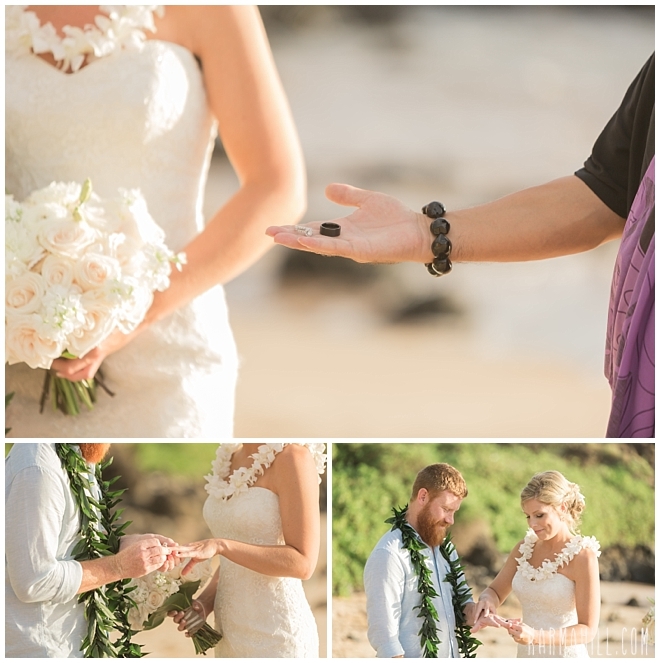 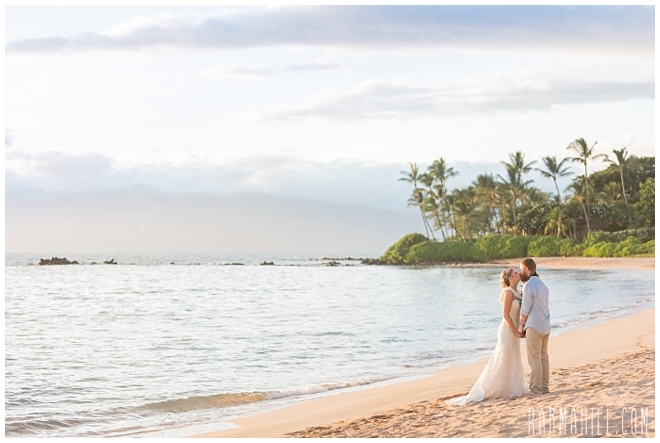 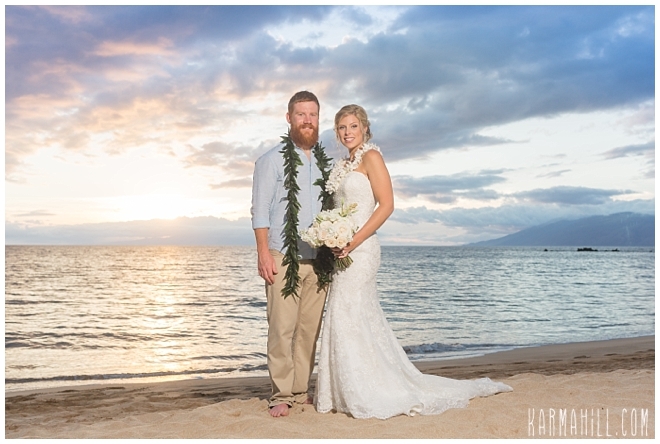 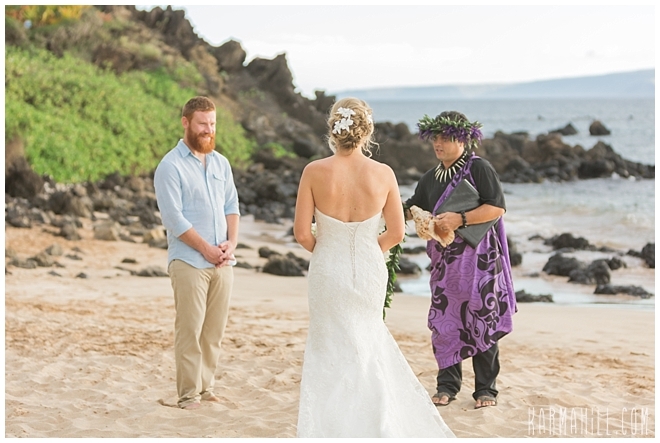 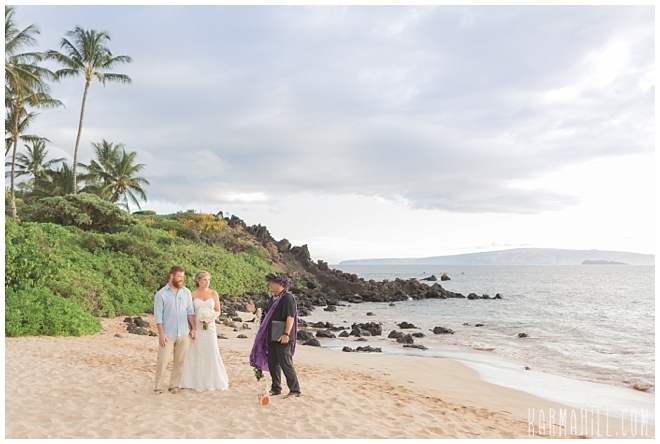 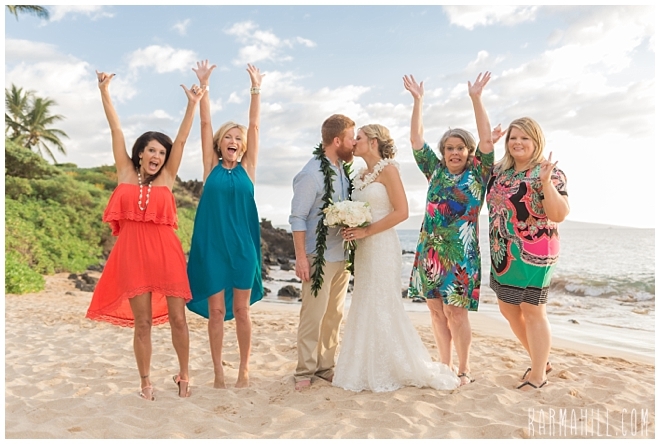 Check out our last Maui Wedding with Heather & Caleb!